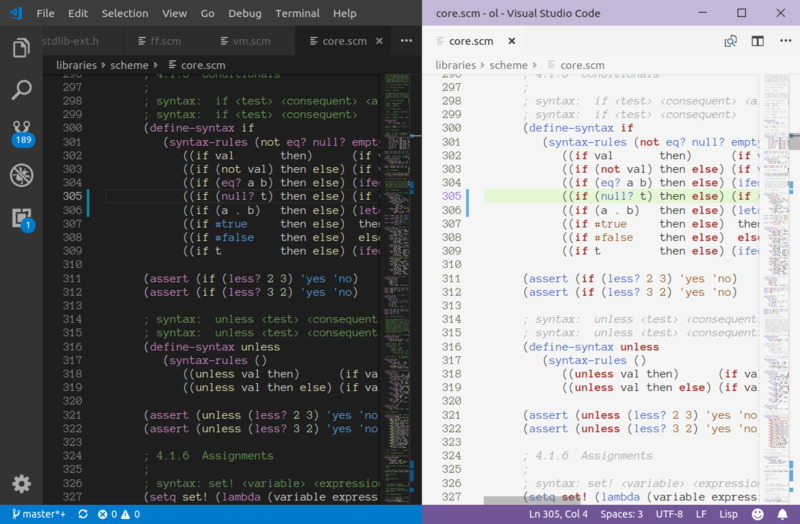 Visual Studio Code>Programming Languages>Ol (Scheme) Syntax HighlightNew to Visual Studio Code? Get it now. Designed for Otus Lisp, functional dialect of Scheme. Useful for any Scheme. This extension use a file that bradrobertson's sublime-packages to enable syntax on vscode.